I read this (picture below) and was amazed at how true it is. The only problem with it is the description / frequency. My Hallmark days (number 4) are far more frequent far then a few times a year. It’s more like a few times a week. Number 7 made me laugh. I get all my days mixed up! Not because I feel the dreadful gloom of a Monday, but rather I think the week is near the end and tomorrow will be Friday. Do I share this to make you feel like a bad parent if those descriptions are relatable to you? No. My reason for writing this blog is to encourage you. You’re Netflix days (I have those too) are just moments. The days when all we want to do is throw in the towel and watch Gilmour Girls on Netflix, are just moments. 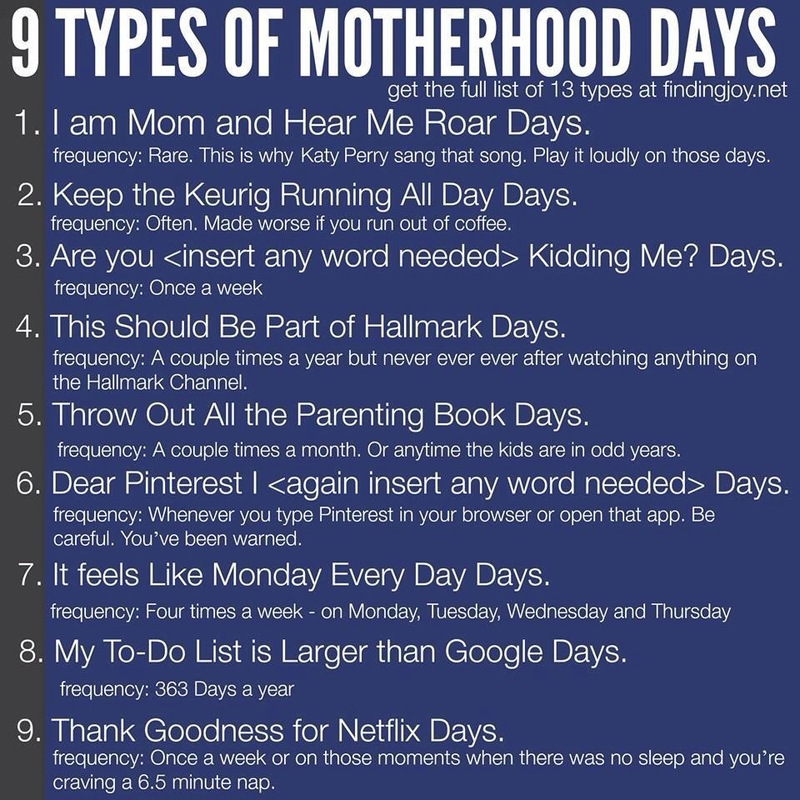 We may not enjoy every moment of our day (Parent or not.) It’s just a moment. 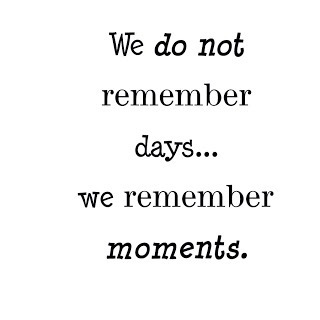 Let’s make the best of our moments. Make the good ones last and remember them when our bad moments come around.